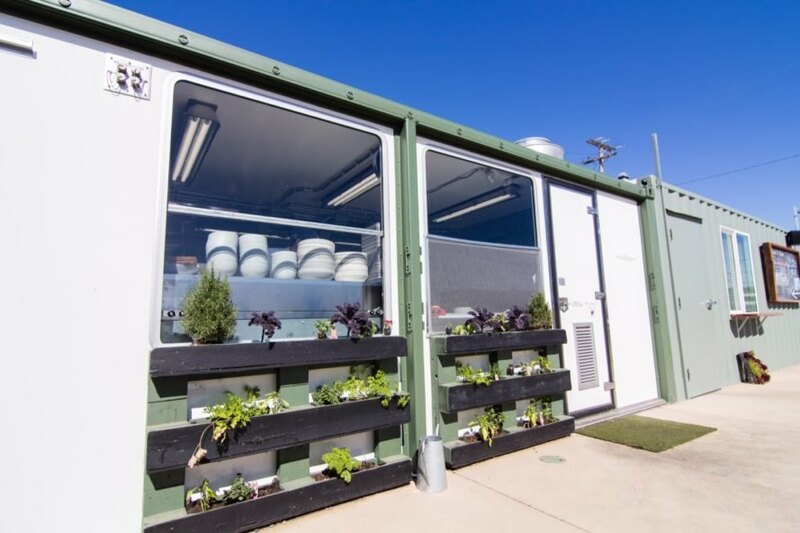 On the heart of San Francisco’s man-made Treasure Island, a chic restaurant has popped up inside a series of recycled shipping containers. In a nod to the city’s history as a major port, local design firm Mavrik Studio crafted the new eatery — named Mersea after an Old English word meaning “island oasis” — out of 13 shipping containers and a variety of other materials found on the island, such as reclaimed wood. 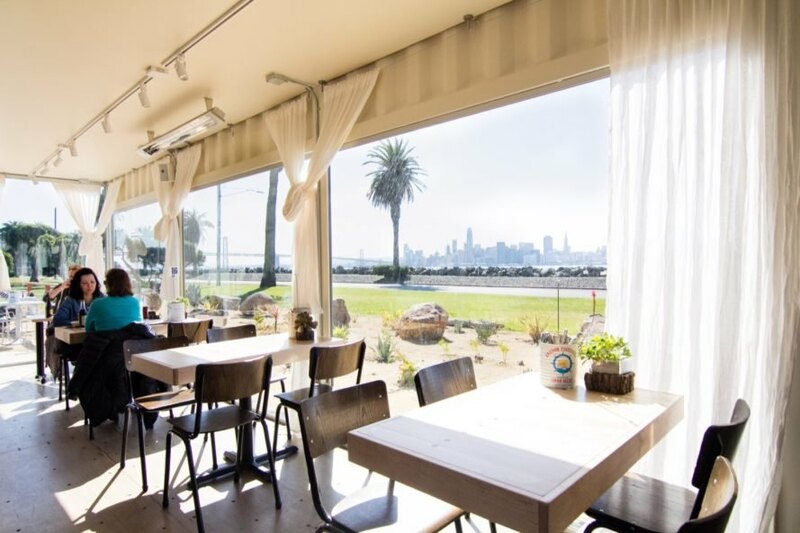 The decision to use cargotecture was also a practical one given the uncertainty of development on Treasure Island; the restaurant can be disassembled and moved when needed. 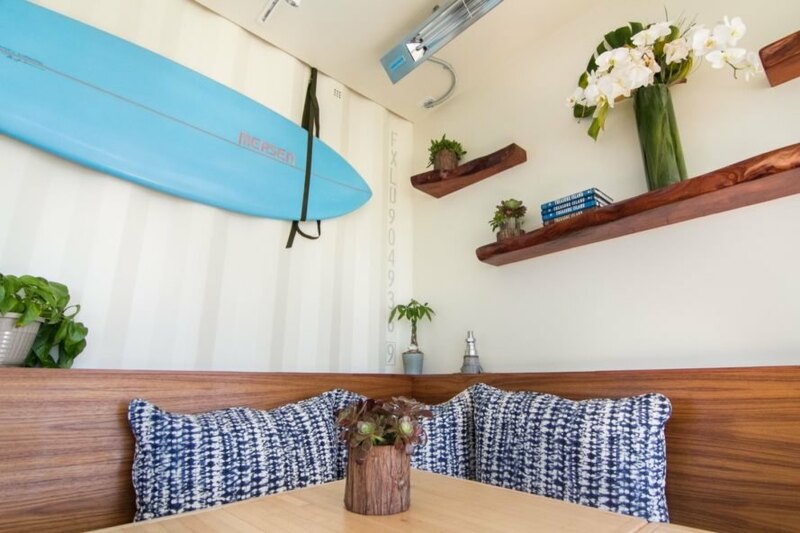 A total of 13 shipping containers have been repurposed to create Mersea’s indoor bar and dining space that seats 60 people, an MRDK military-grade kitchen, bathrooms and a private dining area. Floor-to-ceiling windows flood the restaurant with natural light and frame stunning views of the city skyline on clear days. 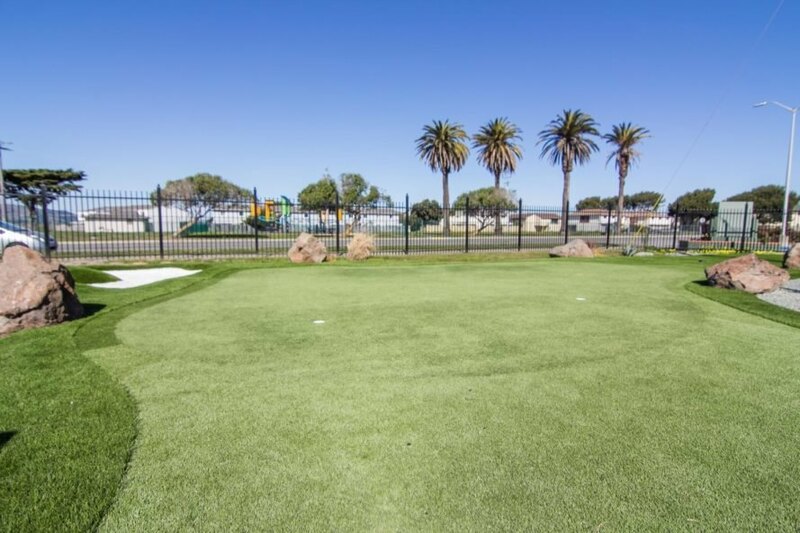 Mersea also includes a golf putting green and bocce court. Environmental sustainability and recycling are key parts of the restaurant design. 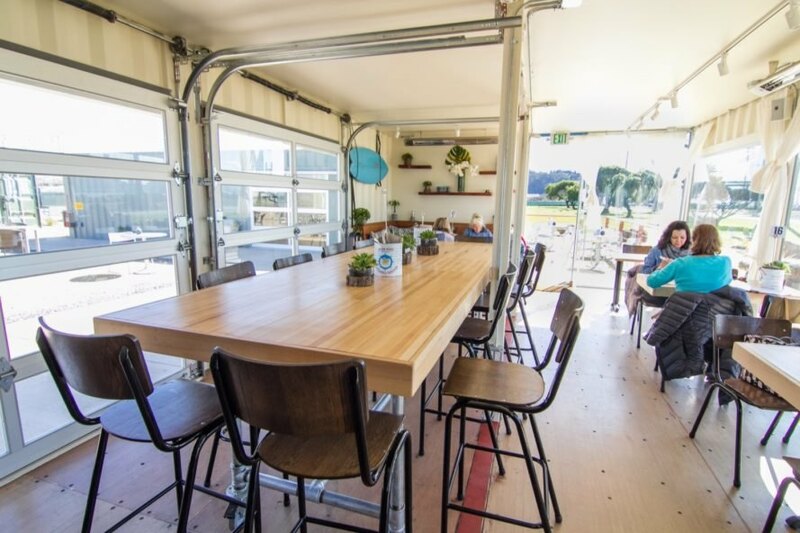 In addition to the repurposed shipping containers, the design team upcycled pallets and used reclaimed wood furniture pieces to create new seating. The herb garden is also made from recycled pallets. In homage to the old Treasure Island Bowling Alley, artist and carpenter Joe Wrye and executive chef Parke Ulrich constructed two communal tables from the former maple bowling alley lanes. Continuing the theme of recycling, the restaurant also teamed up with famous New York-based street artist Tom Bob, who furnished Mersea with unique and cartoonish artworks made from common and oft-overlooked street infrastructure elements like pipes, poles, metal grates and gas meters. The industrial installations — such as the jailbird constructed from pipes in reference to Alcatraz Island, which can be seen from the restaurant — complement Mersea’s light-filled, industrial setting. Mersea is located in the heart of Treasure Island. The restaurant can seat 60 people. The herb garden is made from recycled pallets. Mersea comprises 13 repurposed shipping containers. The restaurant features a golfing green. 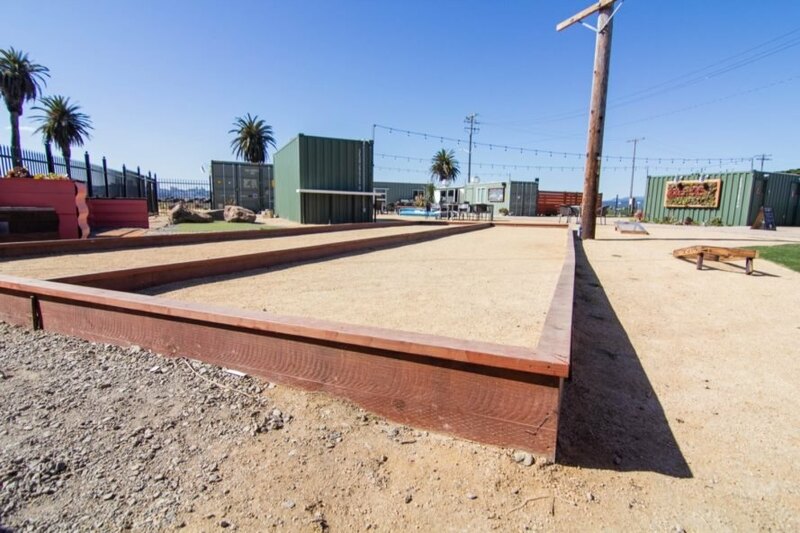 There's also a bocce ball court on the restaurant grounds. Artist and carpenter Joe Wrye and executive chef Parke Ulrich constructed two communal tables from the former maple bowling alley lanes. Reclaimed wood was used throughout the restaurant.